Happy Easter/ Resurrection Day! I hope everyone had a great Easter, I know I did. 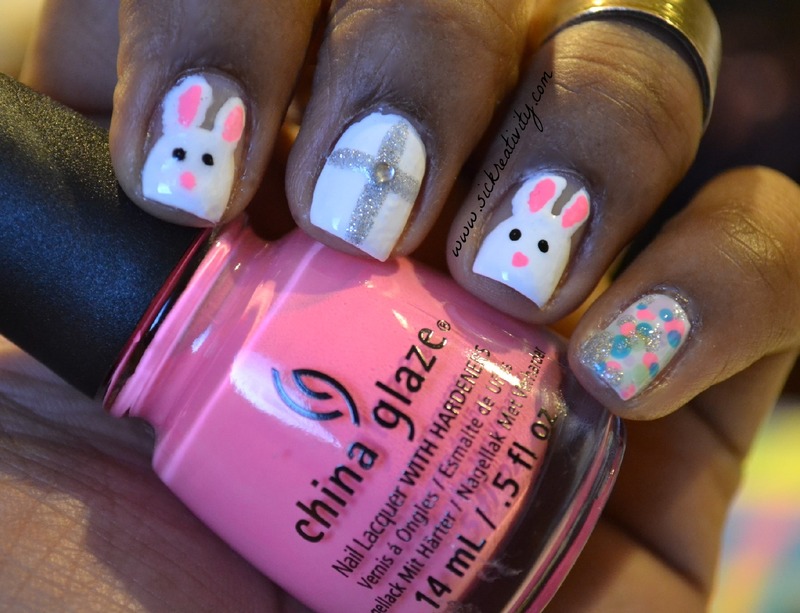 When I did these nails I knew that had to include two things, bunnies and crosses. 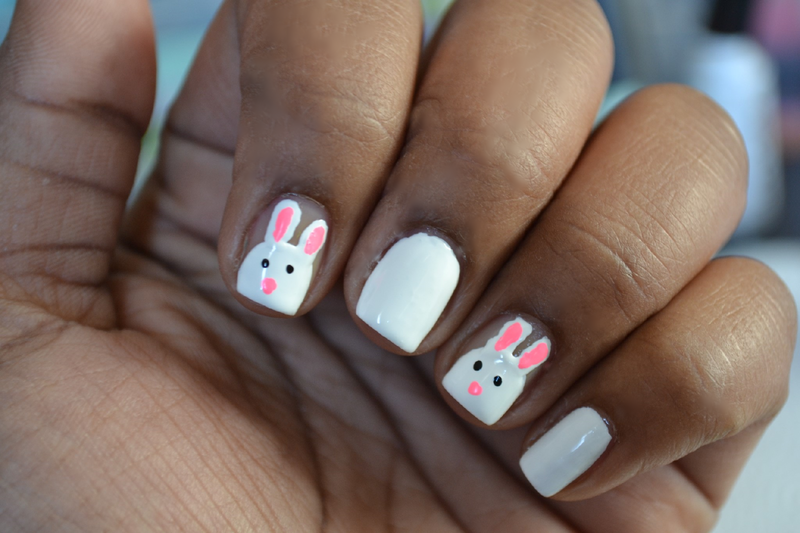 I seen people do these bunnies and thought they were so cute. 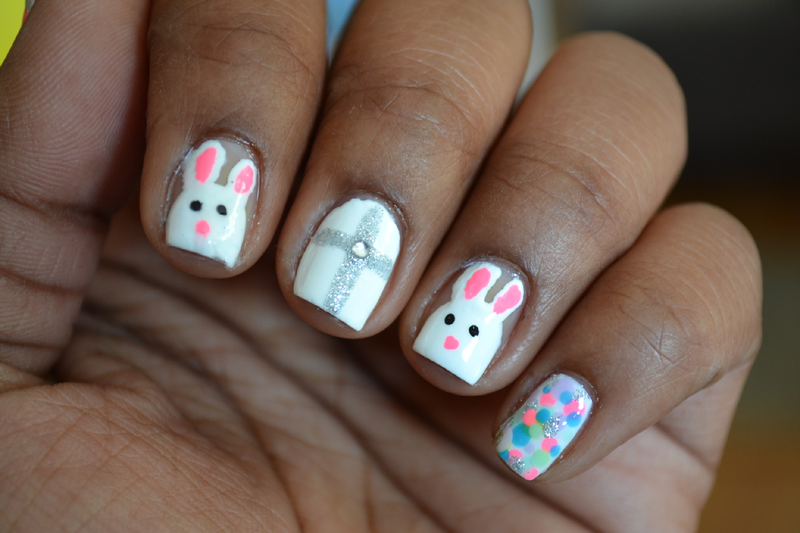 So here’s how to do these Easter nails. 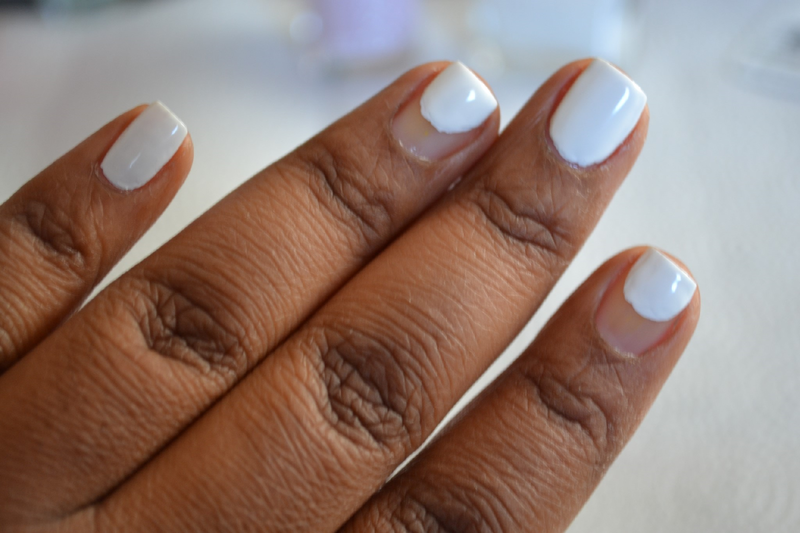 Step 1: After you apply your base coat, use your white polish to cover your pinky, middle finger, and thumb. On you index and ring fingers make half circles on the tips of your nails. Step 2: Using a toothpick or a dotting tool (I used a toothpick) create two ears above the half circles. Step 3: Then with your toothpick/ dotting tool, draw the pink inside of the ears, the pink nose, and the eyes. 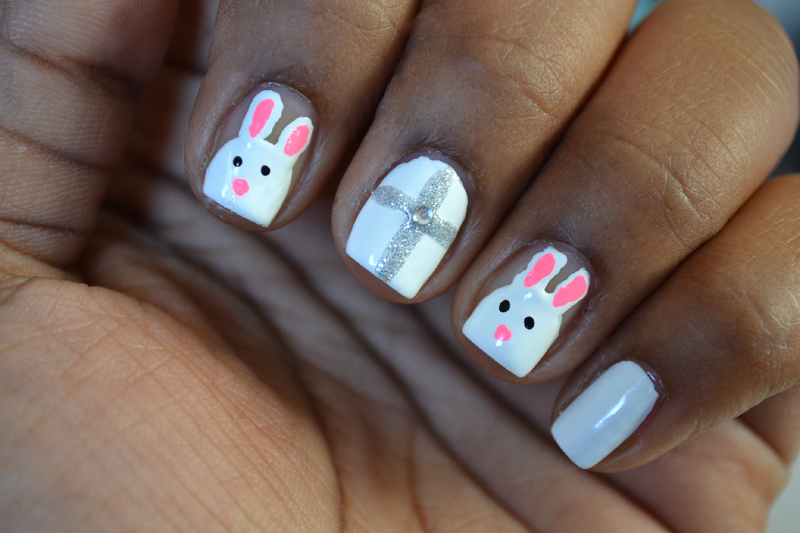 Step 4: On your middle finger, using the glitter striper create a cross. Then in the middle of the cross place your rhinestone. Step 5: Then on your pinky and thumb, take any combination of colors you want and with your dotting tool make random dots with different sizes. I used four different colors and the glitter striper to make the glitter dots. 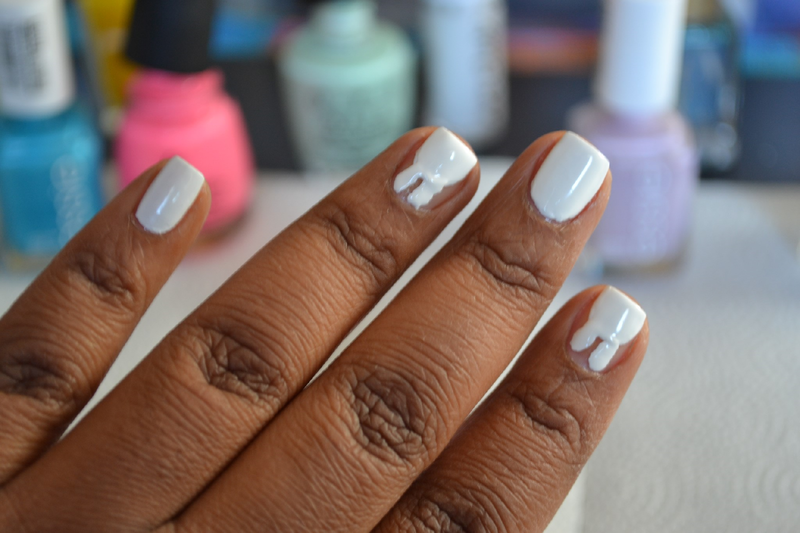 Step 6: Put your top coat on and you’re done.